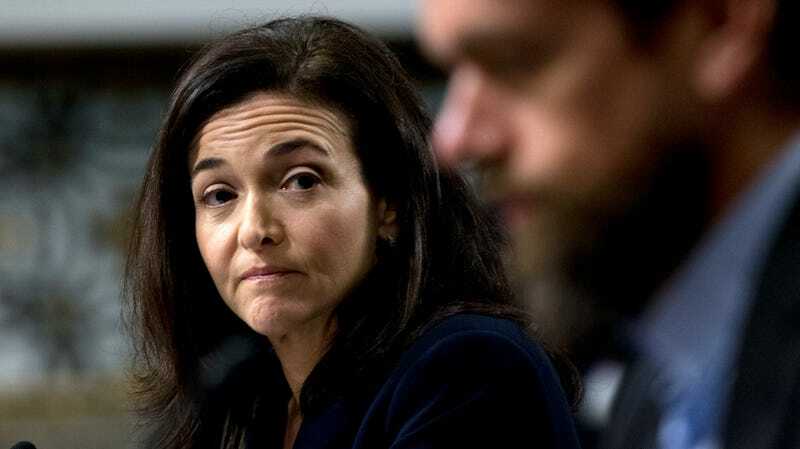 Last year was not great for Facebook’s embattled chief operating officer Sheryl Sandberg—particularly after it was revealed that she personally requested information on vocal Facebook critic George Soros after he publicly deemed the company as a “menace.” But Soros conspiracy ordeal notwithstanding, the company she’s partly responsible for running experienced the most disastrous year in its history. This is evidently not lost on Sandberg, who while speaking at the DLD conference in Germany this weekend said that Facebook has “a lot of hard work” and was “far from done” fixing the myriad problems that arise almost exclusively because the platform exists. Sandberg announced five key goals of the company moving forward, which per CNBC included increased transparency; reinstating user trust in the company to protect their data; investing in safety and security; safeguarding against election meddling; and stopping the spread of disinformation. But Facebook has yet to show that it can adequately manage the vast power it wields (like avoiding becoming a tool used for inciting genocide). In a year-end post shared to Facebook, Zuckerberg himself wrote that for issues like “election interference or harmful speech, the problems can never fully be solved.” Indeed, the company has time and time again responded to messes created by its own egregious and even dangerous oversights by downplaying potential harm and insisting that it is A Good Product. Certainly beginning with reports on its use as a tool to undermine democracy and culminating with a seemingly endless string of privacy and user data scandals, 2018 was a no good, very bad year for Facebook. But if the company really wants to fix itself in 2019, it’ll take far more than retrospective navel-gazing to get it done.